The latest update and activities at PACE! Planning to earn extra income this holiday season? Avail of PACE’s Holiday Spree Short Courses. This is a four-day culinary and baking short course where participants can learn the proper preparation method, recipe quantification, costing and packaging presentation of baked pastries and culinary savories that are best for selling over the holidays. And the gold medal winners at the 2018 Philippine Culinary Cup are: Chef Abner Lowell Cauilan (Creative Breakfast); Charlane Gonzales (US Beef); chef Edward Taponan (US Poultry); Joanne Jamero (US Beef); and Marcelo Morales (Pasta). MANILA, Philippines — The 2018 Philippine Culinary Cup (PCC) will forever be etched in the Professional Academy for Culinary Education’s (PACE) six-year history as the year when its pursuit for excellence has started to bear fruit. Every year, PACE continues to improve its overall performance in the PCC and credits this to their collective desire to give the best to their students and the culinary community. PACE believes that PCC is one of the yardsticks by which culinary skills are measured. A lot of competitors from international hotels and culinary institutions locally and in Asia participate in PCC as they hope to meet the expectations of the judges with their culinary skills. This year, the chefs and the students at PACE who competed in the 2018 PCC went through rigorous training that started with a collaboration of ideas to develop the best possible recipes for each category. The hard work that the chef-students went through at PACE was well worth it. At the end of the competition, PACE had five gold-medal awards, five silver-medal awards and 14 bronze-medal awards. PACE is also fortunate to have sponsors and culinary partners like the Antipolo City Government, Bakersfield, Best Value Factory Food Outlet, Heritage Philippines, La Filipina, Lowtemp Corporation, Polar Bear and Nature’s Spring, who shared their resources. The results were the sum of all their efforts to elevate the skills of the chefs and students in this platform. It inspired the chefs to work harder and stay committed to the school’s vision and mission, which is to provide the best possible education to individuals who are passionate about food and serving people. PACE will continue to participate in the PCC in the coming years to give more chances to its students to learn and experience competition at the highest level. PACE has always advocated entrepreneurship among its students. The school has seen its students evolve from cook to “chefpreneur” since its inception. PACE plans to continue its training programs focused on world-class culinary skills with an entrepreneurial mindset. By the end of this month, PACE will open its first facility in Araneta Center Cubao dedicated to culinary tourism centered on Filipino dishes. The project is in collaboration with different stakeholders in the tourism industry. By 2019 and beyond, PACE will expand to different regions in the Philippines, with Davao and Iloilo as the main targets. This expansion will pave the way for aspiring chefs in the Visayas and Mindanao to explore careers and business opportunities in the food service industry. “This is still in line with our vision to reach more people and experience our brand of education,” Catarroja said. PACE Antipolo is located on the 2nd Floor, Ciannat Commercial Complex, Marcos Highway, Antipolo City. You can contact PACE Antipolo at 654-4862 / 0917-702-4796 / 0947-896-3660. PACE Parañaque is located at 2 President’s Avenue corner Adelfa Street, Parañaque City. For information, call 623-1311 /0917-774-0944/0928-286-3268. This September, PACE will open its first-ever Culinary Tourism Program showcasing regional and authentic Filipino cuisine to the world. Find out more about it at www.pacemanila.com or visit the Facebook page at Pace_Manila. The Professional Academy for Culinary Education (PACE) won 5 gold, 13 silver, and 21 bronze medals in the recently held 2018 Philippine Culinary Cup (PCC) where different culinary institutions in Asia competed. “We were able to bring home 5 gold, 13 silver, and 21 bronze medals thanks to our hardworking instructors, and to our participants who tried really hard in their competition,” said Chef Catherine Ong, PACE co-founder and CEO, in a celebratory dinner which featured innovative Filipino cuisine at One Rockwell, Makati on Friday. As this was their fifth time joining the contest, Ong claimed that PACE has once again surpassed its performance year by year. “That we learn a lot from earning a medal, from practicing, [and] from supporting each competitor during the competition,” Flores added. For the gold medals earned, Chef Abner Lowell Cauillan topped the Creative Breakfast category, meanwhile, Joanne Jamero and Chiclet Gonzales in the US Beef category, Edward Taponan in the US Poultry category, and Marcelo Morales in the Pasta category. Furthermore, there were two Dream Teams who won silver medals. The first team included Chef Peachy Mathay, Chef May Martinez, Chef Carla Bangay, and their coach Chef Monicca Dechavez. The second team was comprised of Fiona Flores, Chiclet Gonzales, and Chef Catherine Ong with Chef Abner Lowell Cauilan as their coach. Young chefs John Doliguez and Theresa Cua also obtained silver medals. For the US Beef category, Chef Monicca Dechavez once again received the silver award, as well as Chelsea Keith Ballesteros for the Pasta category. 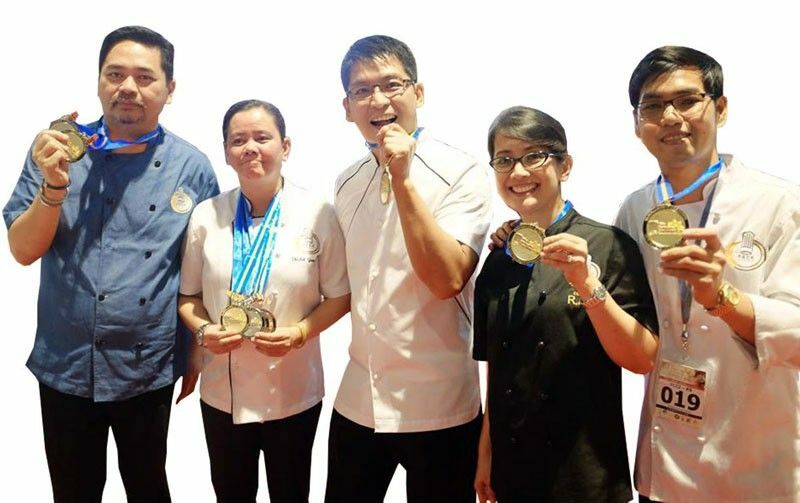 Another Dream Team that collected bronze medals were composed of Miro Bataan, Chef April Aluning, and Chef Sheena Castro alongside Chef Bong Villanueva who was their coach. Meanwhile, two teams bagged the bronze award in the Filipino Cuisine category with Jessica O’Hara, Chef May Martinez, and Chef Carla Bangay in the first team, and Fiona Flores, Chiclet Gonzales, and Chef Catherine Ong in the second team. For the US Poultry category, Chef May Martinez, Chef Monicca Dechavez, and Chiclet Gonzales acquired bronze medals. 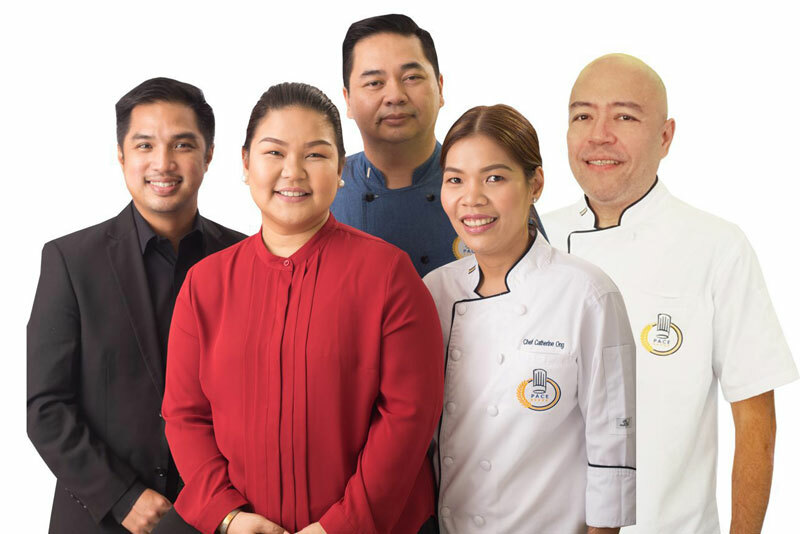 Likewise, Chef Carla Bangay, Ronald Arroza, and Kathrine Baldo in the US Pork category, Fiona Flores and Therese Cua in the Local Fish or Seafood category, Chef April Aluning and Chef Bong Villanueva in the Creative Breakfast category, and Amie Manalo in the Pasta category. PACE co-founder and school administrator Mark Catarroja remarked that PACE is more than just a culinary school. Catarroja explained that PACE has chefs who desire to open businesses. Concurrently, they also have chefs who own businesses. “They believe that training is as important as any other investment in their food businesses,” said Catarroja. Lifestyle Course: Php 2,000 OFF END OF SUMMER PROMO! Lifestyle Courses is offered to culinary newbies and enthusiast who are looking for a fun environment to learn more about culinary and baking. With Php 2,000 OFF discount, enjoy a day of fun and learning at Professional Academy for Culinary Education (PACE) this June 2018! CHOOSE ONE OR ALL OF THESE 3 COURSES! ! ! Flavors of Korea – Learn the basics of the famous dishes from Korea and try doing it at home! Basic Cakes – Life is too short to say no to cakes! Japanese for the Home – Explore your knowledge in learning the art of japanese food. 2. Fill up the INFORMATION SHEET and choose your desired short course. 3. Settle the enrollment fee on or before June 30, 2018 and avail the Php 2,000 OFF discount. 4. We will follow a 1st come 1st served policy. 5. Due to the nature of this class, we will require a minimum of 5 enrollees and a maximum of 10 enrollees. EXCLUSIVE FOR PACE CHEFPRENEURS, ALUMNI AND STUDENTS ONLY. #TeamPACE and Bakersfield would like to invite all PACE Chefpreneurs, alumni and students that are passionate in baking…..
Join us on April 30, 2018 from 10am to 3pm at PACE Antipolo Dining Hall. Featuring the NEW product of Bakersfield and a lot more! We will follow a 1st come, 1 serve policy. This Product Demo Presentation is FREE. Only those with confirmation email are allowed to attend. 1. Tryout is open to all alumni and current students both in Antipolo and BF branches. 2. Start by choosing the category you want to join in. 4. Submitted recipes must be an original work and has not been copied or reproduced from any published or copyrighted source. 5. Recipe must include complete list of ingredients including accurate measurements for every ingredient and complete step-by-step directions for preparation and cooking. PACE Recipe Format must be used. You may request for the format from any of PACE Marketing Representative. 6. Only one recipe per student shall apply. 7. PACE Chef Instructors will nominate potential finalists and will be called for tryouts. 8. Potential finalist will be invited to present their dishes to the Chefs. *Potential finalist shall provide and bring their own ingredients for their recipes. *All preparation and cooking of dishes including garnishes must be entirely made and crafted on-the-spot. *All potential finalists are requested to wear complete chef’s uniform. 9. Final list of the 2018 Philippine Culinary Cup Representatives will be announced right after tryouts. For more details about the Philippine Culinary Cup, visit pcc.wofex.com. In partnership with the Rotary Club of Pasay Southeast, we would like to give our appreciation in this opportunity for including the PACE Students and Alumni to be part of this outreach. Helping this young boys and sharing simple moments with them has brought joy in our hearts! We would also like to thank our sponsor CDO Foodsphere for sending tons of Bibo hotdogs, PACE was able to incorporate the hotdogs into a delish menudo rice bowl perfect for the young boys of Manila Boystown. Once again, thank you for having #TeamPACE! PACE Tesda Cookery NCII Passers! 2. ANDALUZ, MARY ANN N.
4. CRUZ, ERICKA LOREINE B. 6. DE GUZMAN, MARRION KENNETH M.
7. DEL PONSO, TRISTIAN P.
8. DEL PRADO, JOHN VON G.
9. ECLEO, IZZY SLASH OSBOURNE M.
12. GUIAO, MAE ANNE T.
15. LITONJUA JR., ALEX B. 16. LOREDO, STEPHEN JAMES A. 18. MERINA, MICHAEL JEROME M.
24. REYES, JOHN PAUL JONES H.
25. REYES, REYMAN JORDAN G.
26. SAN PASCUAL, CAMILLE R.
1. TIBULONG, BABY JOY C.
Once again, they maintained PACE’s 100% passing rate in National Assessment Exams! Lets all learn from the locals and enjoy the history and natural wonders of Bacolod-Iloilo. THIS APRIL 2018.. RESERVE YOUR SEAT NOW!